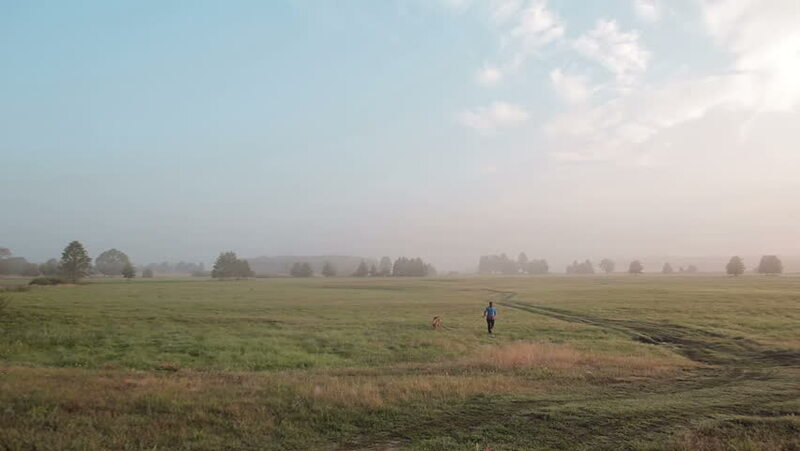 A back view of a countrygirl is walking her dog in a summer meadow. Red cheerful funny dog is happily jumping on field. hd00:29A fluffy red dog hunting a mouse, cheerfully waving his tail in a summer meadow. A local woman walking on country road.